Chef Aimee Tortorich began her culinary career in 2012 after enrolling into Culinary School at the Art Institute of San Diego. Wanting to return home to Louisiana, she transferred to Louisiana Culinary Institute and completed her Associate's Degree in Culinary Arts. During culinary school, she won 1st place for the annual "Race to Cannes" competition, where she traveled to Cannes, France and cooked for the American Pavilion at the Cannes Film Festival. She also won many other awards while in culinary school, including the "Culinary Excellence Award", "Gourmet in the Garden"(1st place) and placed 4th Bean Category at the Hogs for the Cause BBQ competition. After graduation, she worked at several restaurants in the Baton Rouge area including Beausoleil, Blend Wine Bar, and Table Restaurant. 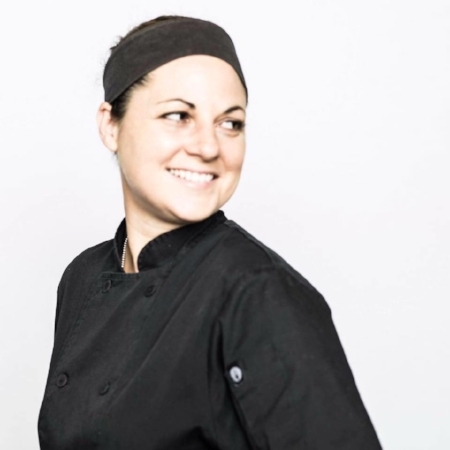 In 2016, she joined Jay Ducote of Bite and Booze as Culinary director and Executive Chef of Gov't Taco. During that time, she developed recipes using Jay D's Product line and managed catering, private chef, and other food related events. From 2016 to 2018, as Executive Chef of Gov't Taco, she spent countless hours creating menu items and recipes for the opening of the restaurant. 2014 Louisiana Culinary Institute "Culinary Excellence Award"